By itself, perspiration doesn't make your clothes stink. When sweat reacts with bacteria on your skin, though, it turns into a foul-smelling acid. 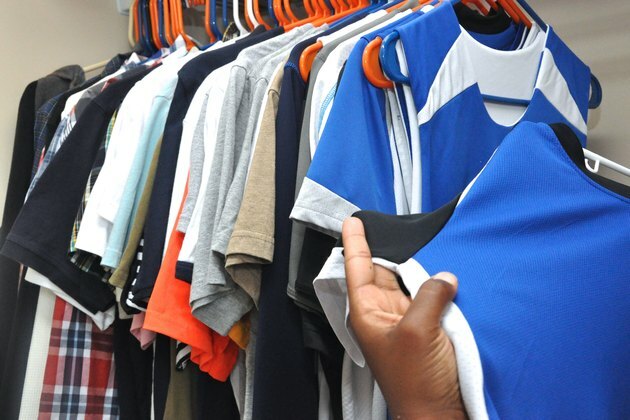 Once this odor embeds itself in the fabric of your clothes, it's challenging to get it out. 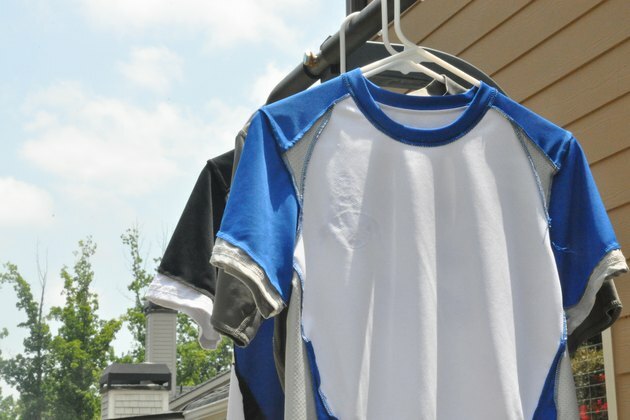 Laundering sweat-soaked garments may help, but it isn't likely to get rid of the odor completely. To beat tough sweat stench, you'll need some powerful odor-fighting weapons. You can find an array of natural, chemical-free odor removers in your own kitchen pantry. 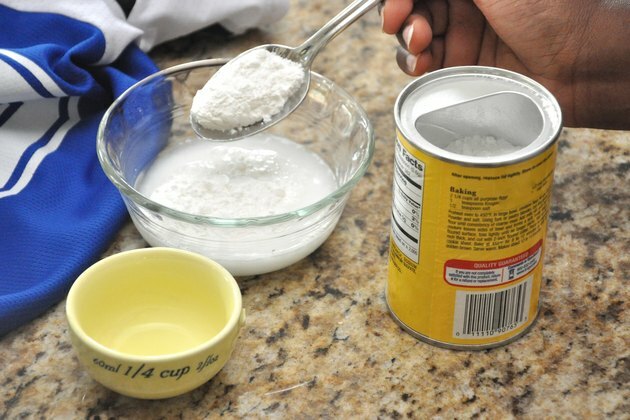 Combine 1/4 cup warm water and 4 tablespoons baking soda. 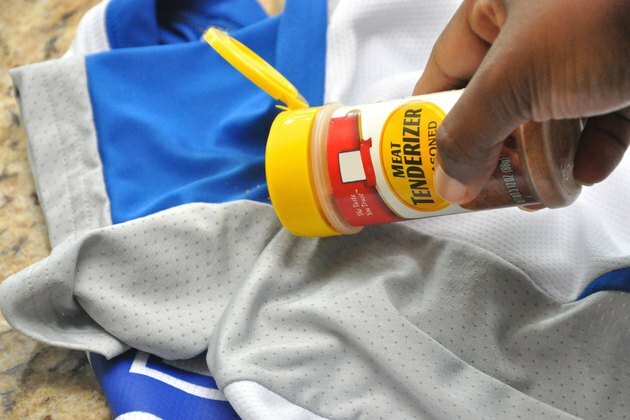 Rub the paste directly into sweat stains. Allow the paste to dry for two hours before laundering as usual. Make a solution of equal parts lemon juice and water. Dab the sweat stains with the solution before laundering. 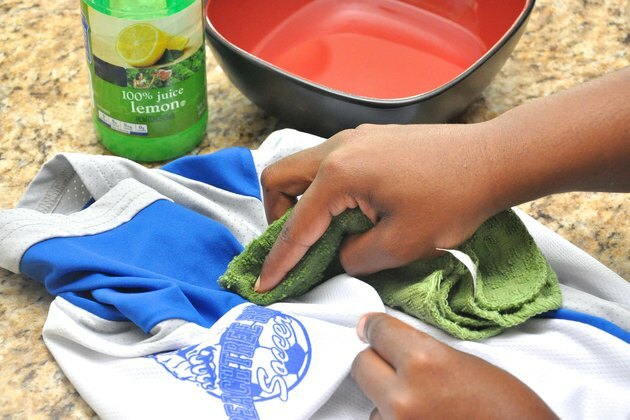 Blot sweat stains directly with undiluted white vinegar, then launder as usual. 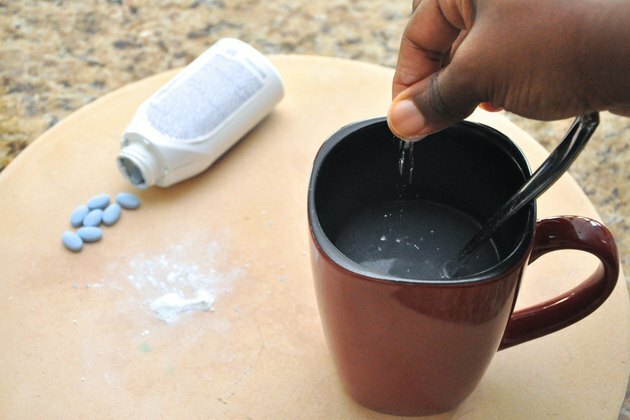 Mix together 1/2 cup warm water and one crushed aspirin. Saturate the sweat stain with the solution for two to three hours, then launder the garment. 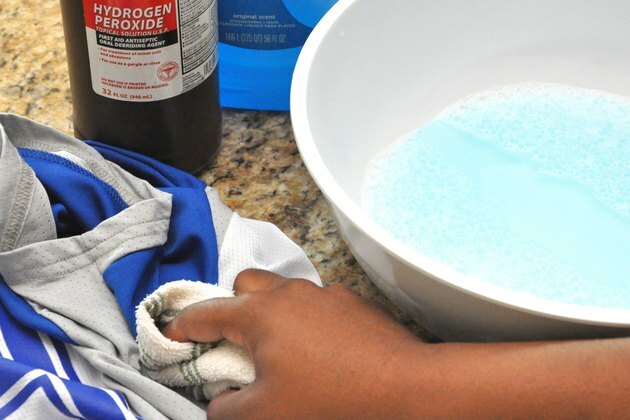 Combine two parts hydrogen peroxide and one part liquid dishwashing soap. Blot the perspiration stain with the mixture, then let it soak in for one hour before laundering. Dampen the stain with a bit of water, then sprinkle it with a thin layer of meat tenderizer. Launder the garment as usual. Turn the garment inside out and allow it to sit outside in the sun for several hours. The sun will freshen clothes and lighten stains. Put the garment in your freezer for a few hours or overnight. This kills odor-causing bacteria. 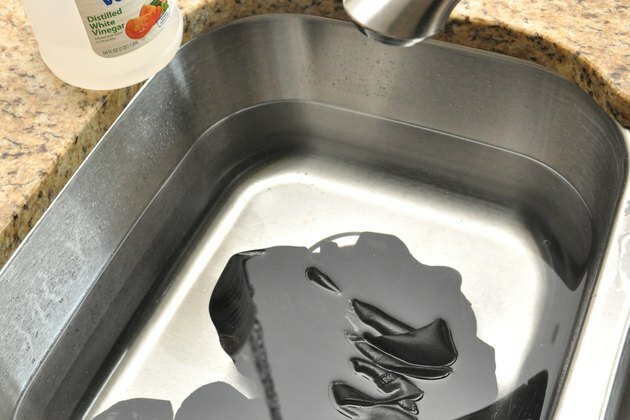 Fill a clean sink or large bowl with hot water, then add 1 to 2 cups white vinegar. 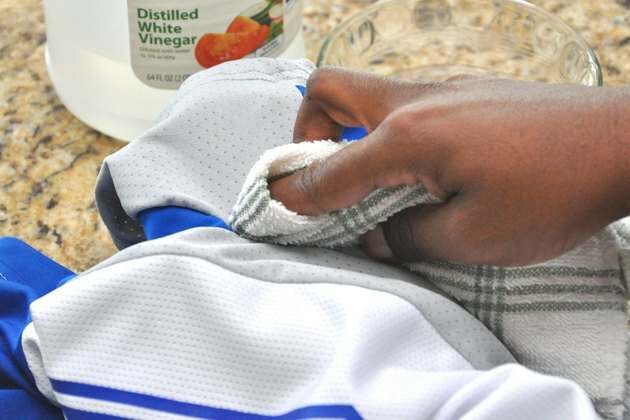 Soak the garment in the vinegar solution for 15 to 30 minutes. 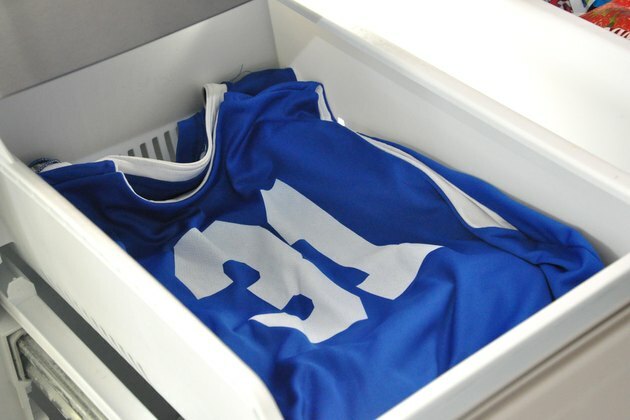 Launder as usual, but add 1 cup white vinegar to the washing machine during the rinse cycle. Use 2 cups for very strong body-odor smells. To get rid of yellowing caused by sweat stains, combine 4 tablespoons of salt with 1 quart of hot water. Blot the yellow stains with the solution until they disappear. Columbia Health: What Can I Do About My Strong Body Odor?